THE JOY OF THE LORD IS MY STRENGTH. 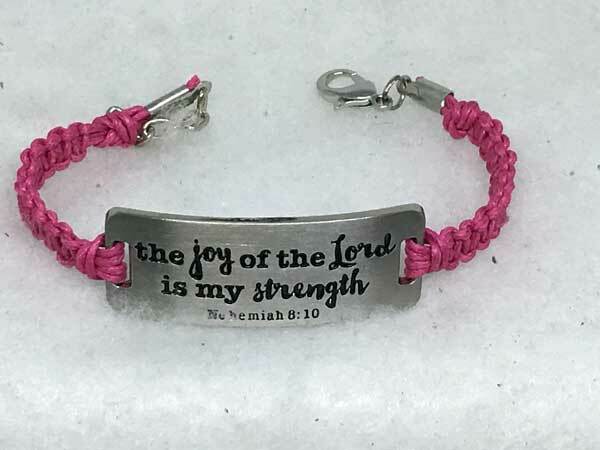 This bible verse is complimented with beautiful pink waxed cord. The addition of chain at the lobster-claw closure, allows the length to vary from 7 1/4 to 8 1/2 inches.